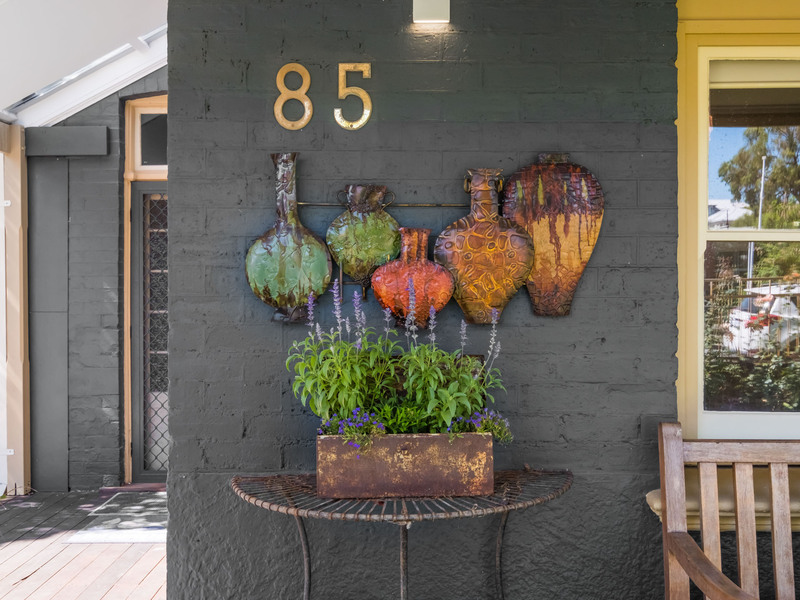 Sitting pretty in beautiful, award-winning gardens this 1920's home invites you to discover its warm comforts and hidden charms. 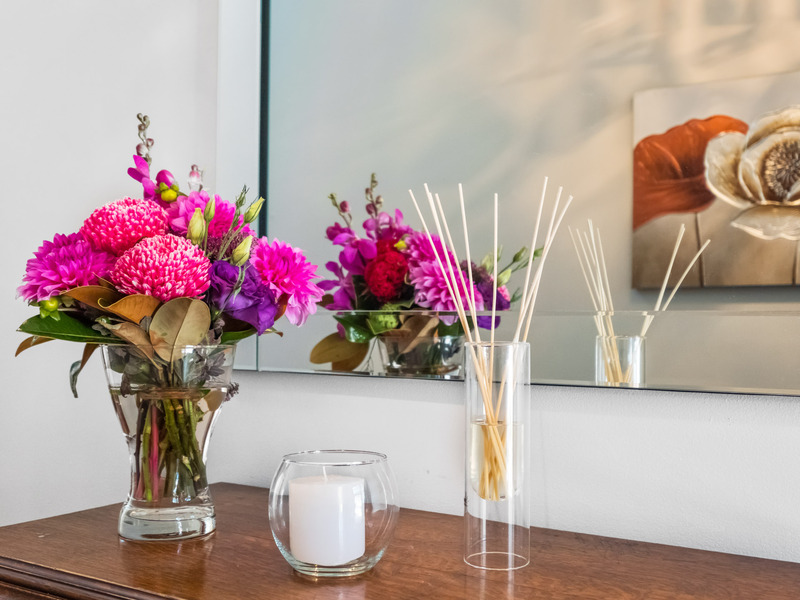 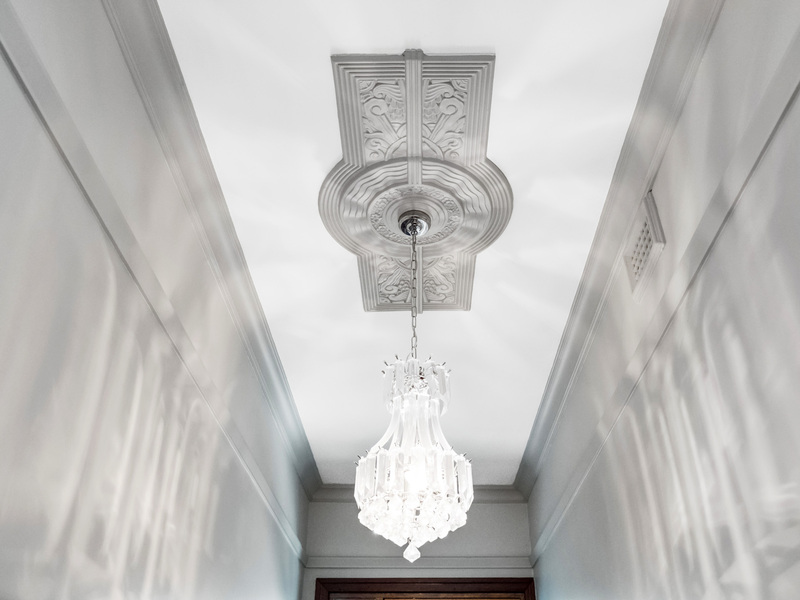 Elegantly presented and carefully extended to respect it's original ambience while catering to today's lifestyle. 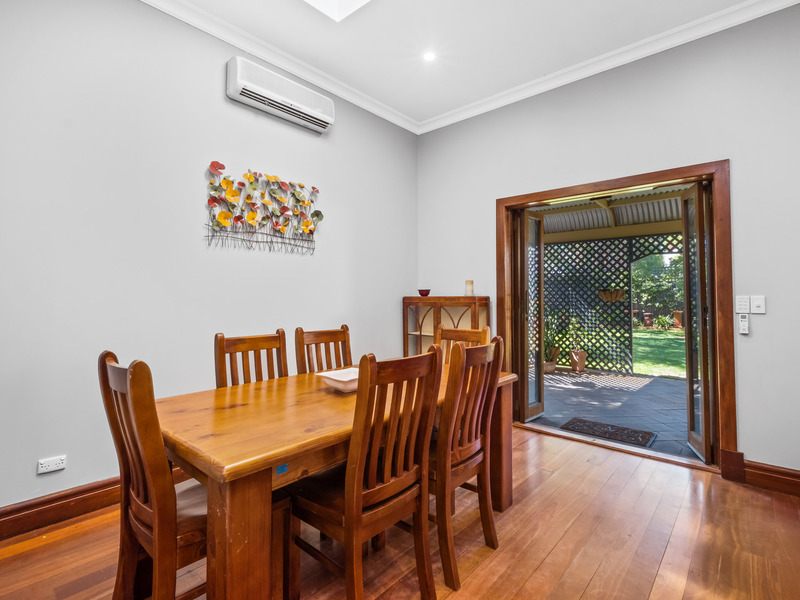 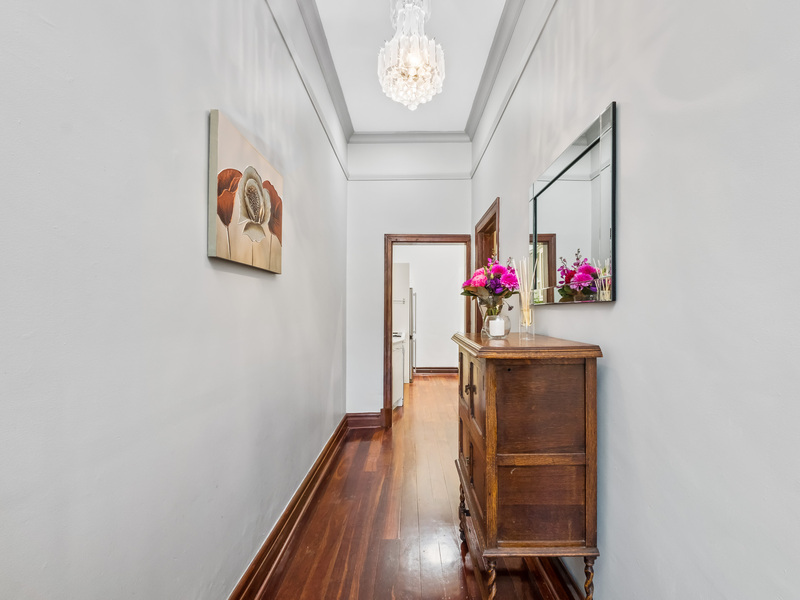 The formal entrance and central passage with decorative ceilings, wide jarrah boards and crystal chandelier sets the tone for what is to follow. 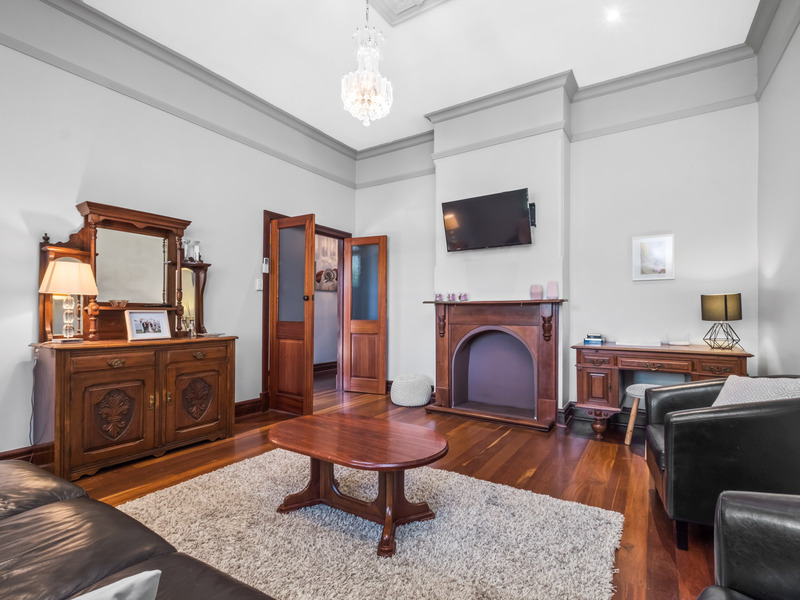 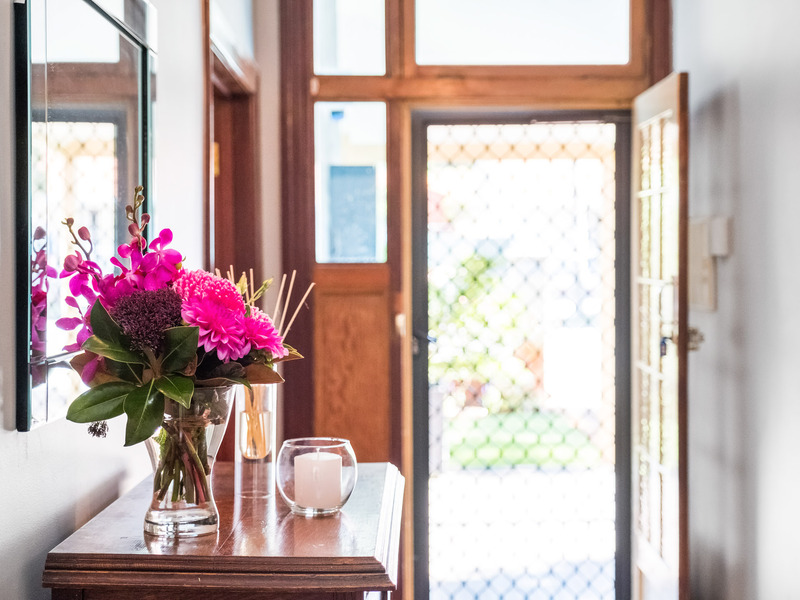 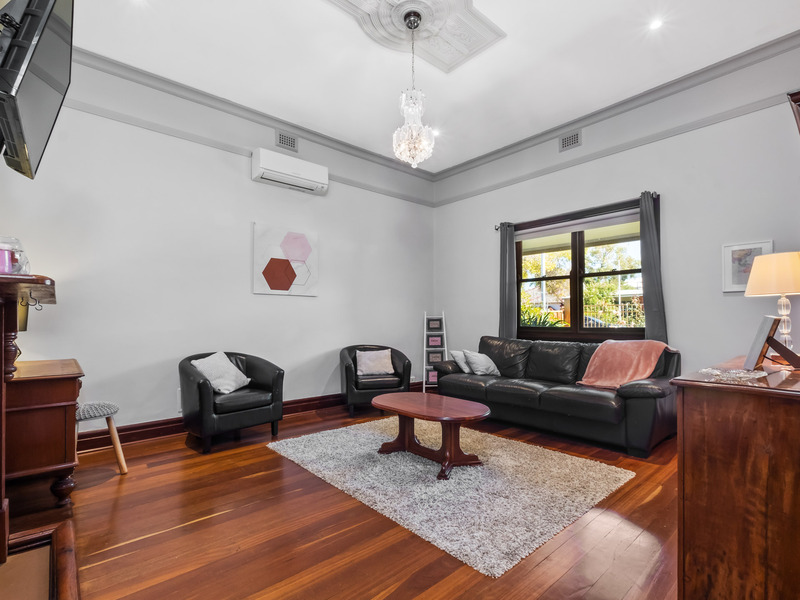 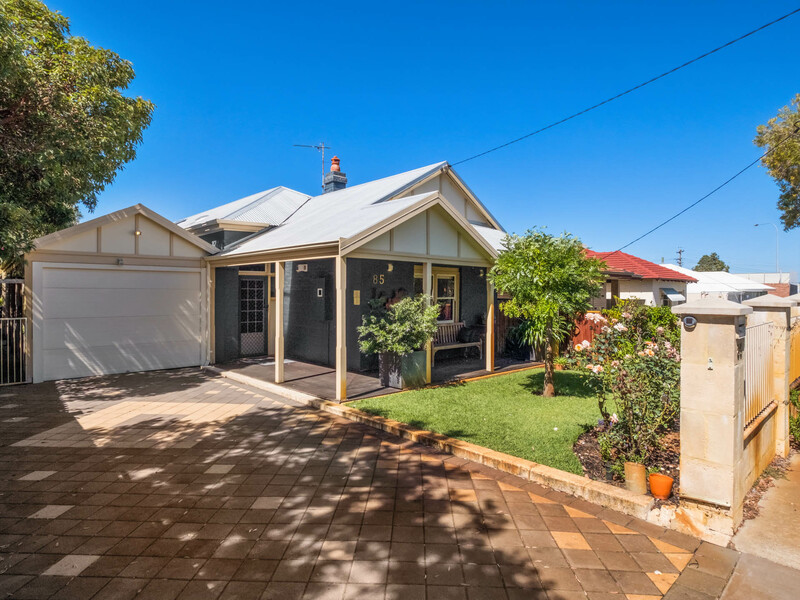 French doors lead to the elegant lounge with jarrah surround fireplace and original sash windows providing a lovely outlook over the verandah to the gardens beyond. 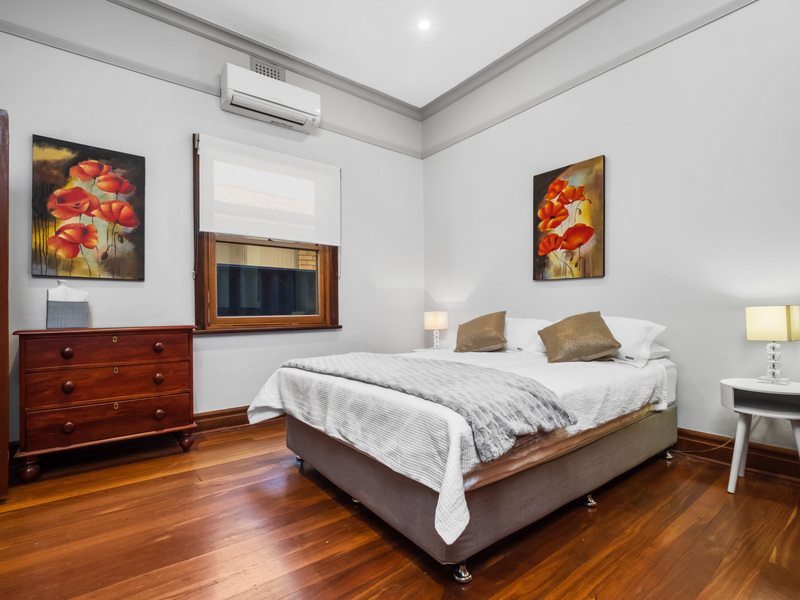 Whether watching your favourite TV show or curling up with a book, this lovely room is destined to be a favourite retreat. 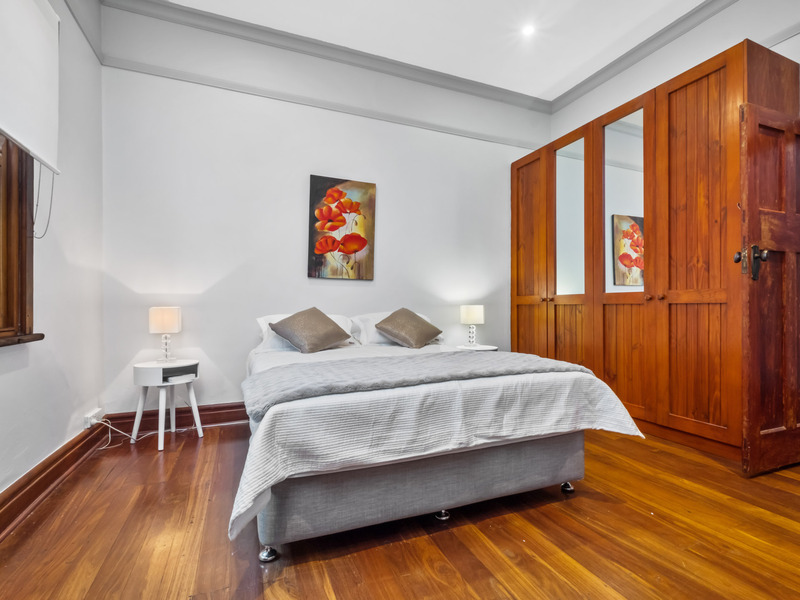 The main bedroom is a spacious room with a lovely tranquil ambience and big built-in-robes for excellent storage. 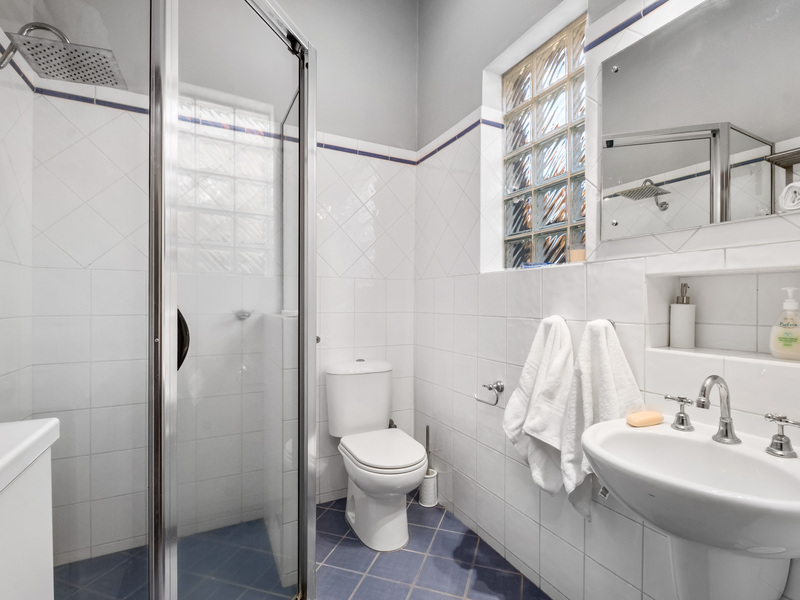 The ensuite bathroom has all modern fittings including a rainwater shower head for a little touch of luxury. 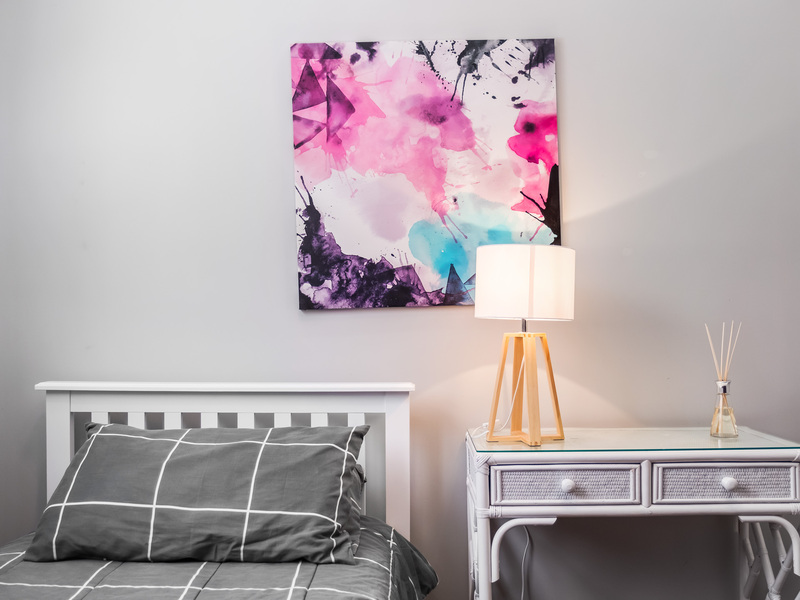 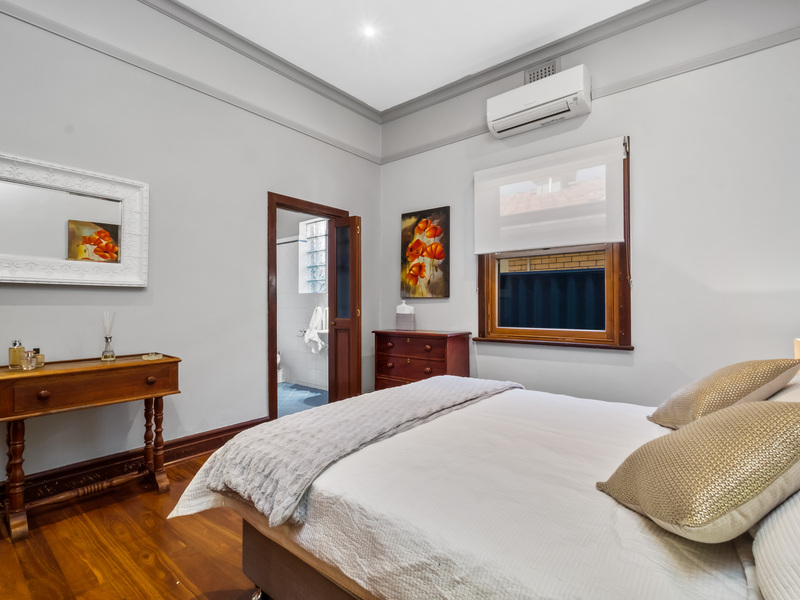 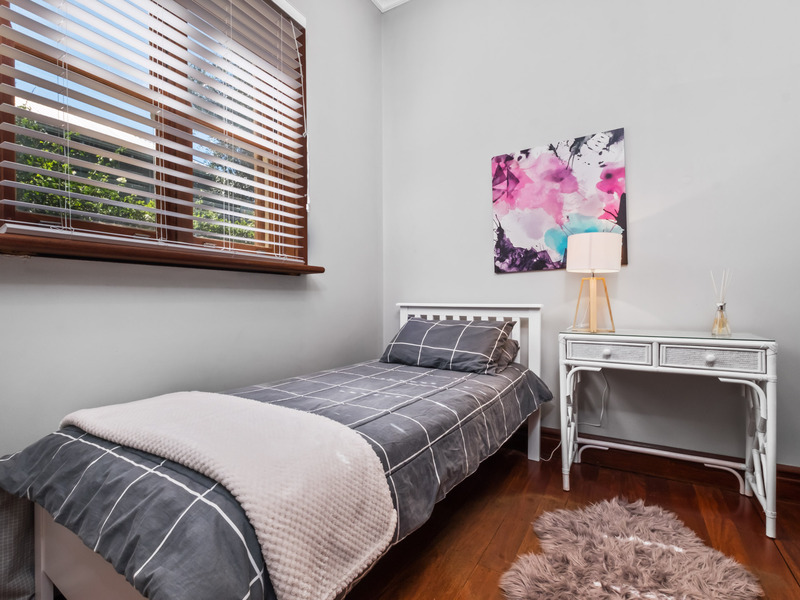 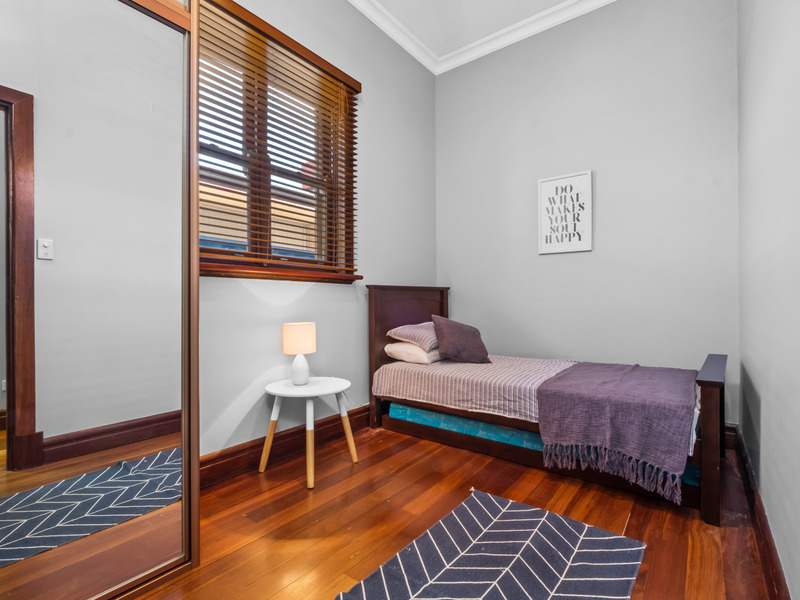 The second bedroom is a good size room with built-ins and the third bedroom makes an ideal child's room or large study depending on the the individual ownerS' needs and lifestyle. 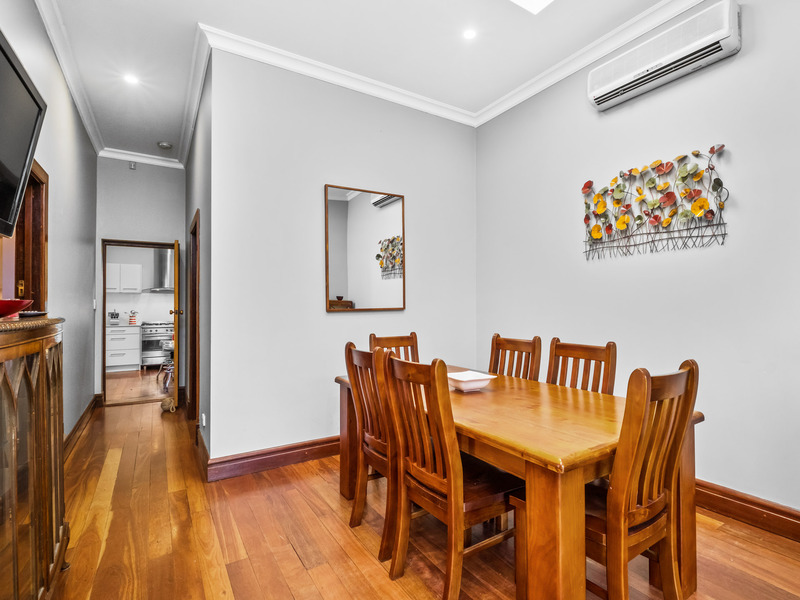 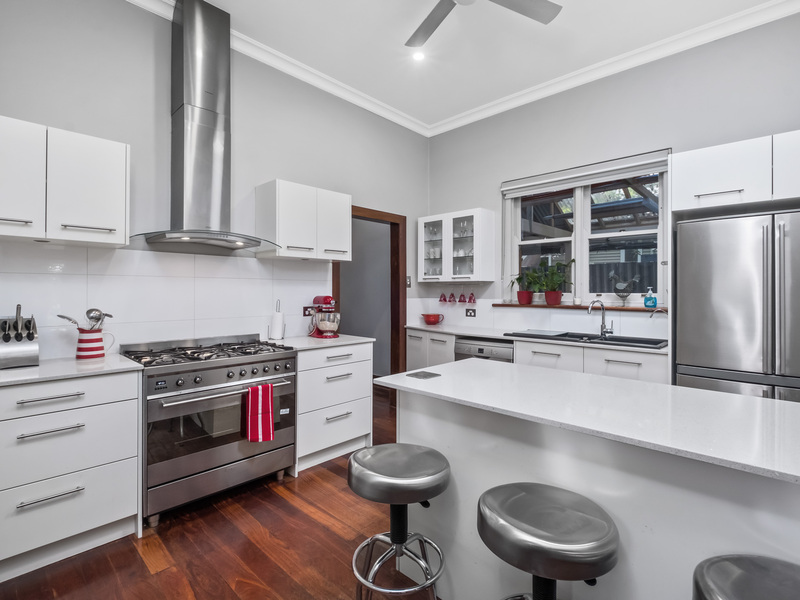 The modern kitchen with stone bench tops and breakfast bar is indeed the heart of the home. 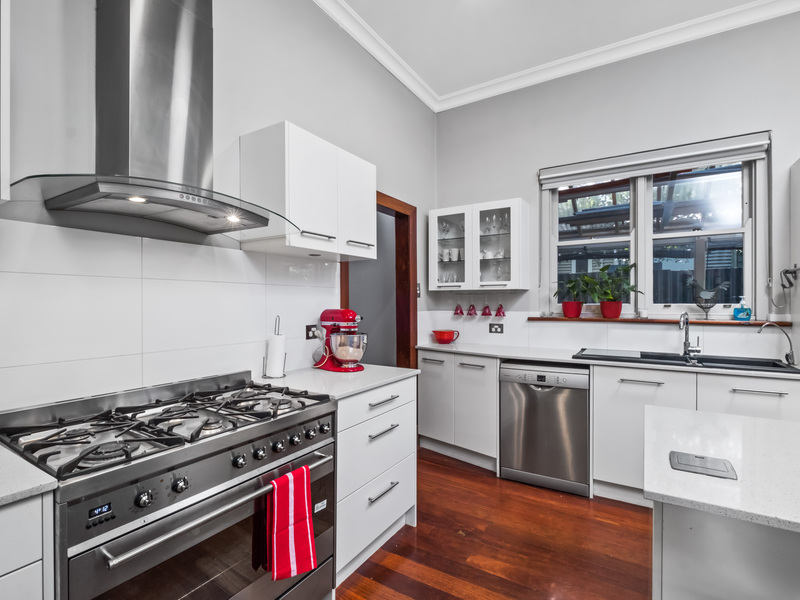 Well designed to offer lots of cupboard space including a large butler's pantry and quality appliances including a large 90cm oven. 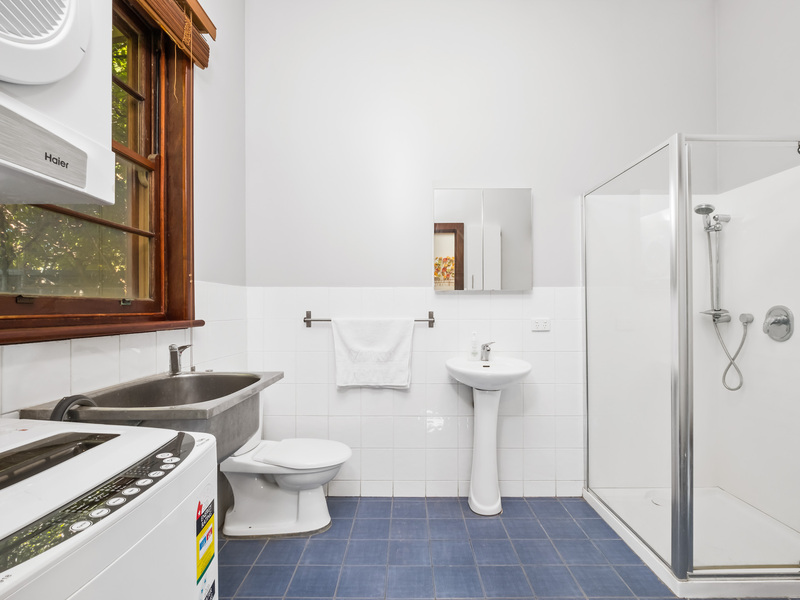 The renovated, main bathroom is huge and includes the laundry facilities. 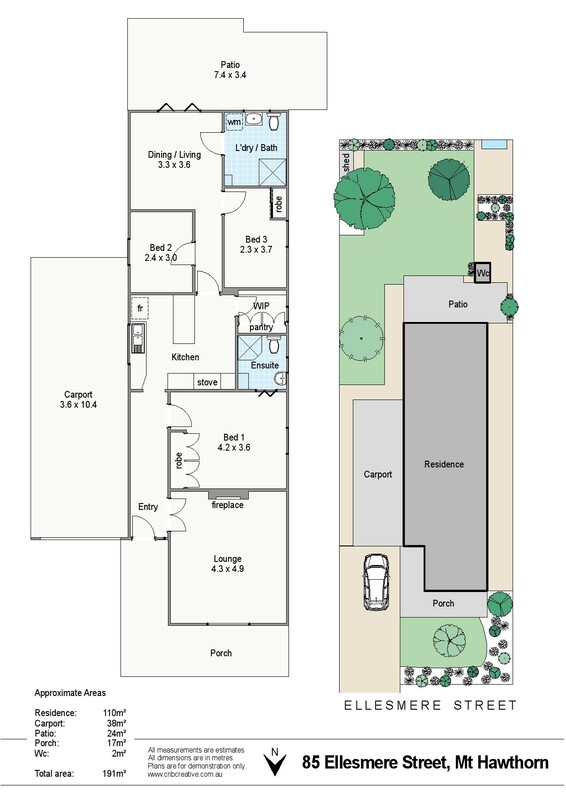 A second dining/living area is to the back of the home providing great separation for when it's needed. 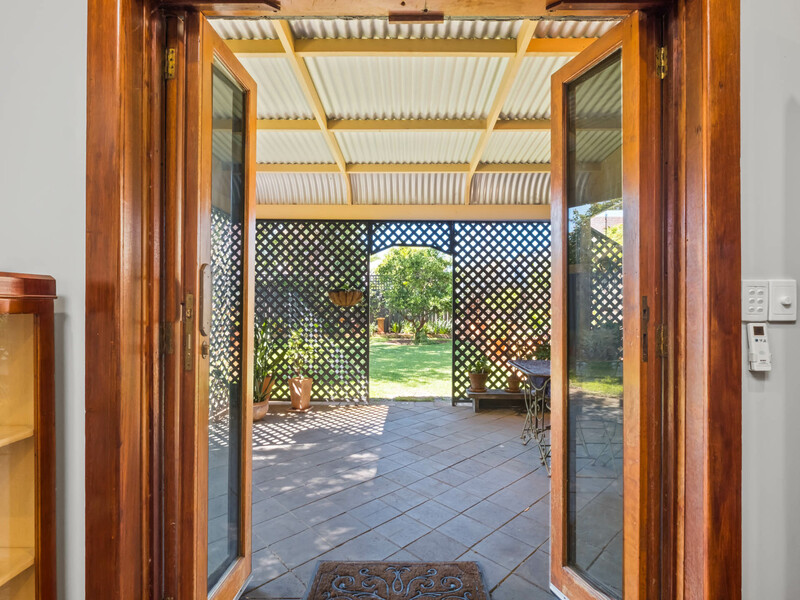 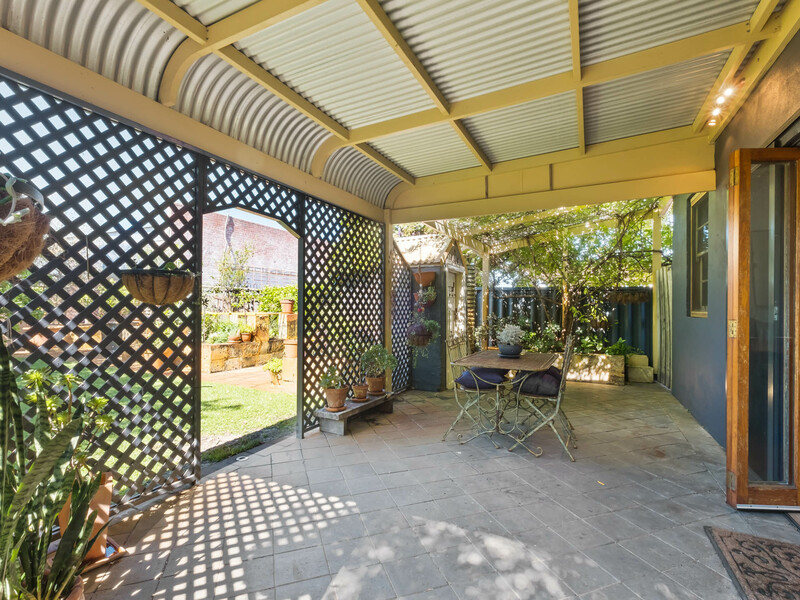 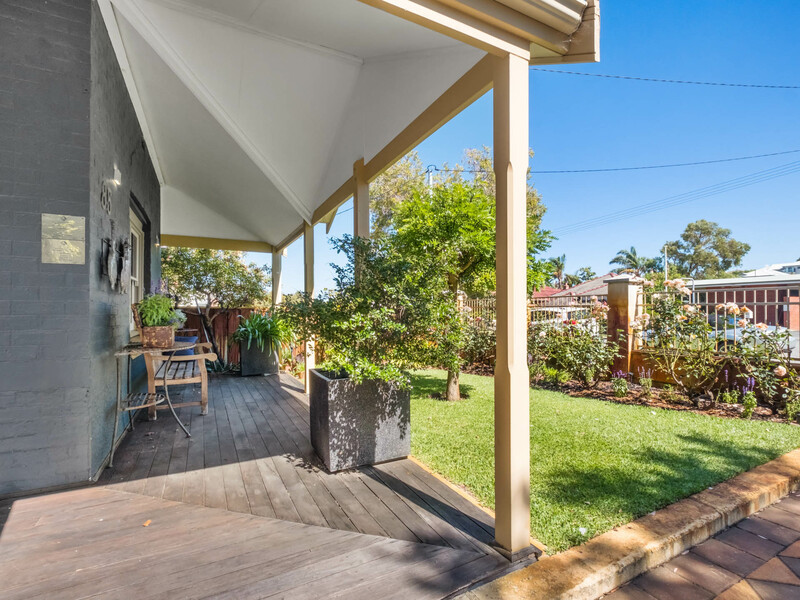 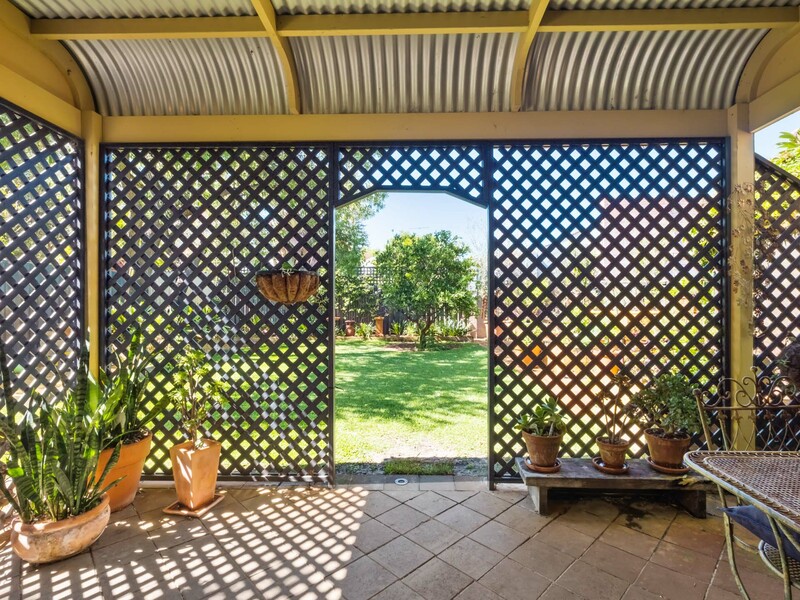 French doors lead to the shady alfresco and award winning gardens with lawn areas, fruit trees, a fish pond and limestone beds brimming vegetables and herbs. 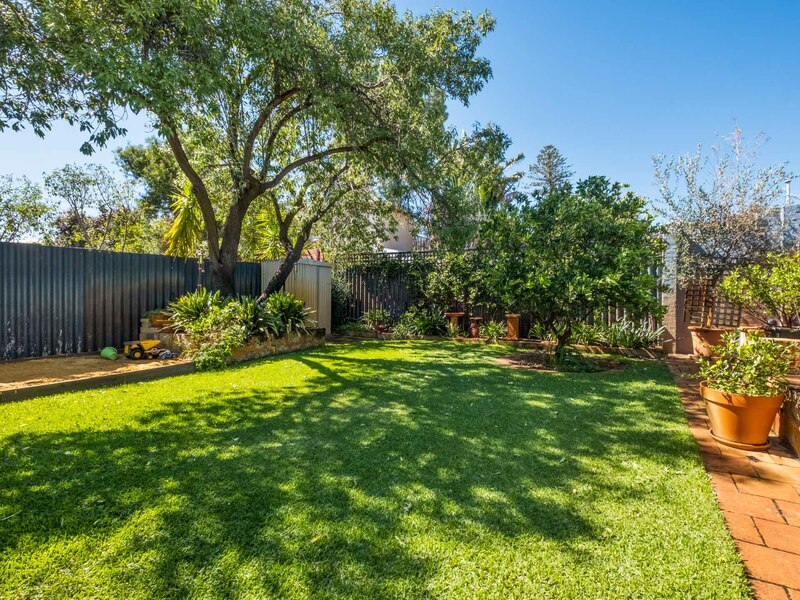 A perfect setting for outdoor entertaining, a quiet spot for relaxation and an ideal garden for children to play in. 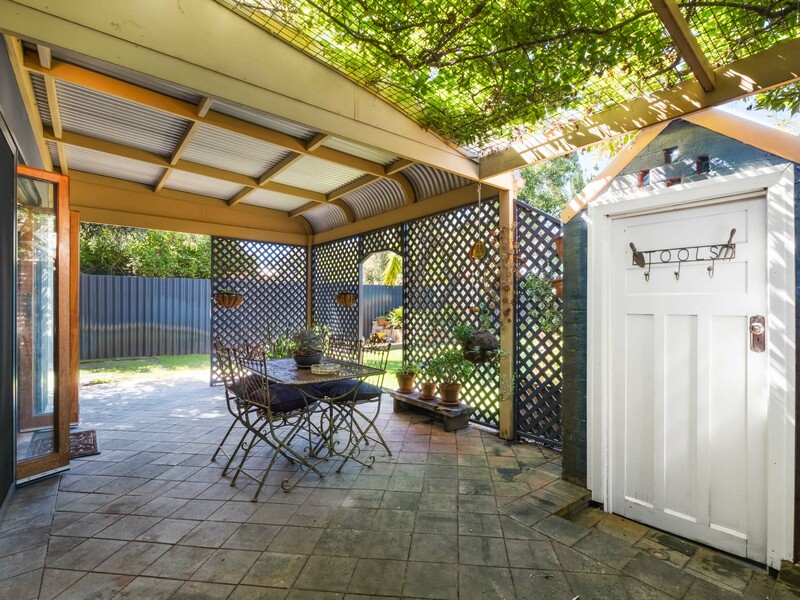 The secure parking for two cars in the large carport with roller door competes this picture pretty home.